Thanks to 207 Hosts for hosting this site! Neither links to web sites of other organizations and institutions nor descriptions on this web site of their activities should be construed as as official endorsements by the Kotlas Connection. The background paintings on this and the other main pages of this site are by Milt Christianson, a Maine artist who attended an international, twelve-day painting seminar in Kotlas in Summer 2003. 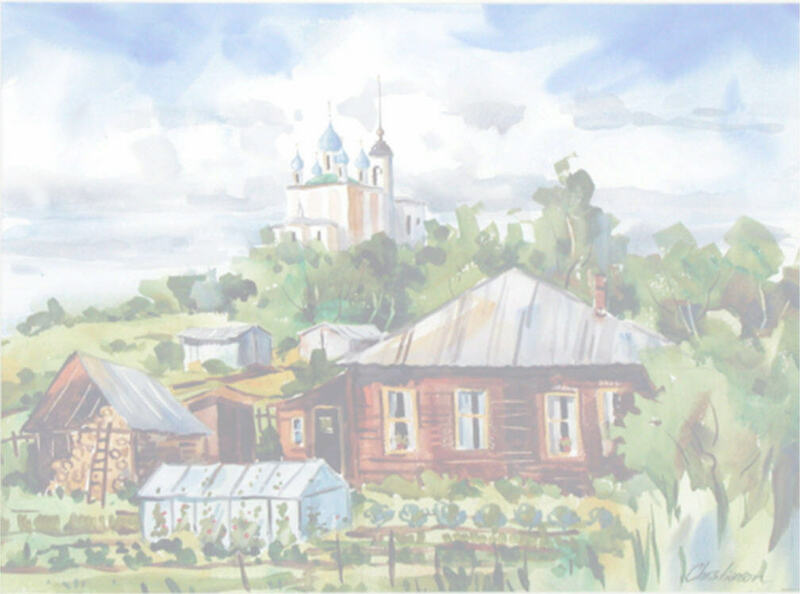 Follow this link to read about his trip and see more of his Russian paintings.